Walnut Block Cottages comprise two luxurious one-bedroom cottages set among beautiful trees and the vines of Walnut Block vineyard. Each cottage is a haven of seclusion and comfort in a relaxed and inspiring environment. Expansive windows across the front of the cottages overlook the region’s oldest walnut tree, which stands tall among the organic vines. 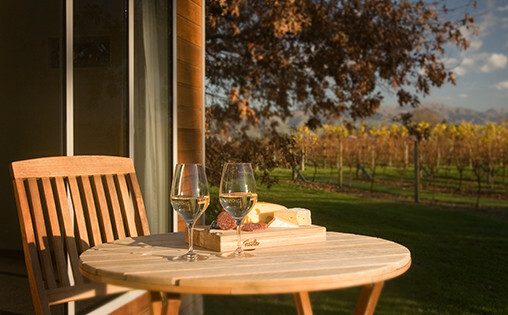 If you’re looking for luxury Blenheim accommodation, the Walnut Block Cottages are for you. 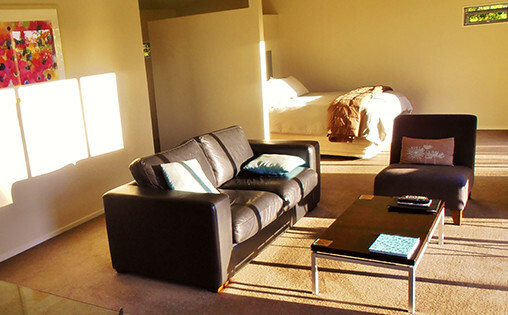 The cottages are contemporary in design with all the modern comforts one would expect of 5-star accommodation. The cottages feature spacious open-plan living and dining that takes in the panoramic views of the vineyard and mountains. 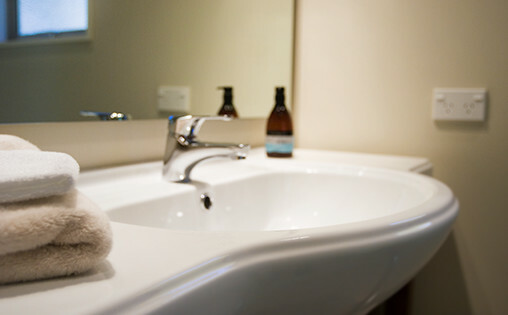 The ensuite bathroom features a walk-in shower, under-floor heating and a selection of luxury toiletries. The heated rail warms the luxurious bamboo towels. The bedroom, with a deluxe king or twin-bed options, has the ultimate luxury in high-quality linens. There is also a separate dressing room area. 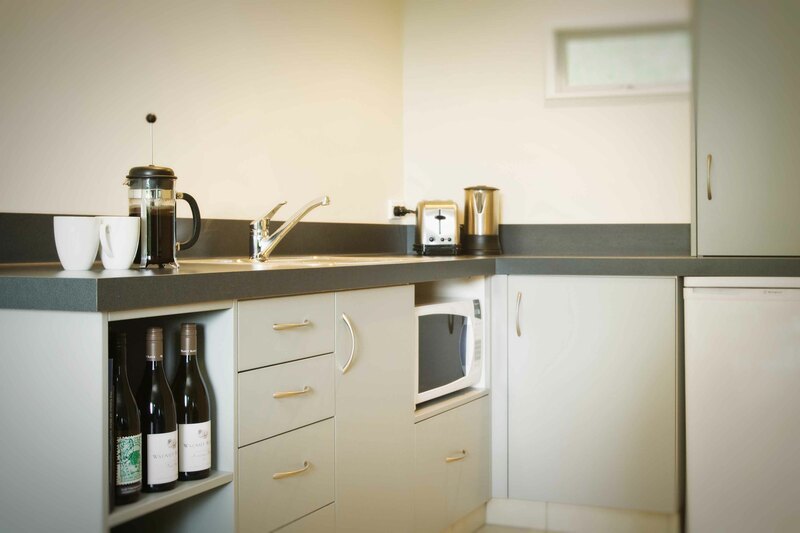 The kitchen facilities include a fridge, microwave, kettle, toaster and electric hob. Complimentary continental breakfast provisions are included with a selection of cereals, yoghurts, jams, fresh bread, juice, teas and freshly ground coffee. You are welcome to pick fruit from our trees; depending on the season we have lemons, cherries, peaches, nectarines, plums, grapefruit, mandarins and pears. The large deck has a table and comfortable chairs, making it the perfect place to relax and watch the beautiful sunsets over the vineyard. For those who wish to enjoy the evening at the cottage and eat in, each cottage has its own gas barbecue.